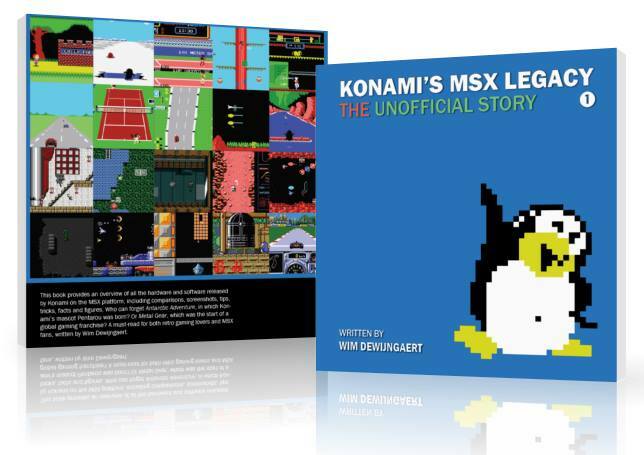 As you may or may not know, I'm currently writing a book called "Konami's MSX Legacy". The book will be different compared to the existing Mantra publication. For starters, it will be written in comprehensible English, which was the biggest flaw of the book. I will also leave out all information on illegal bootlegs and concentrate on official Konami games only. The book will feature maps and hidden secrets, continuing the work I've done 27 years ago with the "Het Grote Peeks, Pokes en Truuks" series. However (and this is the purpose of this post) some of the Konami manuals are missing from my collection. It would be wonderful if the community could help me with this, since I want to make the book as complete as possible (including for instance the scoring system and keyboard keys to use per game, info that can often only be found in the manual). I am curious though: The subtitle, "The Unofficial Story", hints that the book might go more in-depth behind the game-dev scenes? Maybe on how these games were actually produced with the limited hardware back then maybe? I also remember fondly reading the Peeks Pokes & Truuks books when I was little, had all five of them, wishing for the games that I didn’t have . Would you mind adding perhaps a way to contact you to opening post in case someone would be willing to contribute? And are there any requirements to the scans? And you planning on using them in the book, or is the only requirement for them basically to be readable? There were 5 of them? The Peeks & Pokes books are indeed legendary. Next too that, to my opion the published book by Matra is/was more than complete and comprehendable enough according to me. Also liked the extended and extra information about bootlegs. So no need to make a new book. Everyone is entitled to their own opinion of course. I really liked Mantra's book, but I found some things were missing, for instance all the tips, tricks, cheats, walkthroughs and maps. I'll also include more screenshots in my book, plus recent references in new games. Does this forum support private mails? I'm not keen on posting my email address in public. Hmm, Wim's wikipedia entry says 4 (Wim_Dewijngaert), but your linked-in page says 5? (https://www.linkedin.com/in/wimdewijngaert). The book titles seem to slightly mismatch on the pages as well (+/- "MSX"). @Wimpie Contact form in your user profile. Looks like it’s already enabled for you.